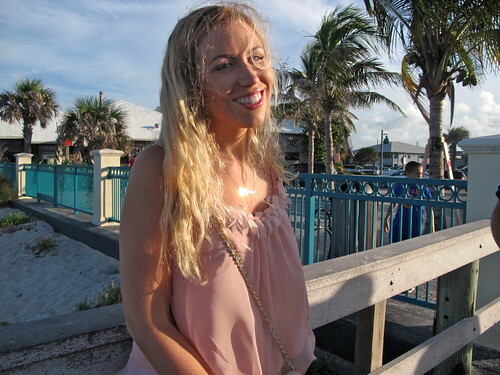 Still have a few outfit posts from my Florida vacations…think there’s enough time to squeeze one more trip in this summer? White shorts are serious my unofficial vacation uniform. During my 2 trips to Florida this Summer I easily wore 7 outfits with white shorts. They are just my go to pair…probably because I’m SO not a white pants person ((actually its more that after 4 years of searching for the perfect pair of white pants I’ve pretty much given up)). What has been your most worn item this Summer? Get a FREE On the Dot Neutral Eye Color Compact when you spend $60 at my mark. eBoutique!! Offer valid 7/27-8/3 just SHOP & your FREE compact will automatically be added to your cart! That sheer blush top is gorgeous! I can't believe I don't own a pair of white shorts. After seeing how fresh they look on you, I want to run out and buy a pair! Love the blush top!! You look gorgeous..and have a wonderful family! Hope you are having a wonderful day! Cute top, lovely photos, nice blog,follow each other? I love white shorts as well, this is a great outfit, and I really want to visit FL right now! I need a real vacay bad! Love the detail shot…the pastel nails are really pretty and I love that heart ring!! easy summer style! such a lovely top! Loving your Summer Style! Gorgeous. oufffff…. 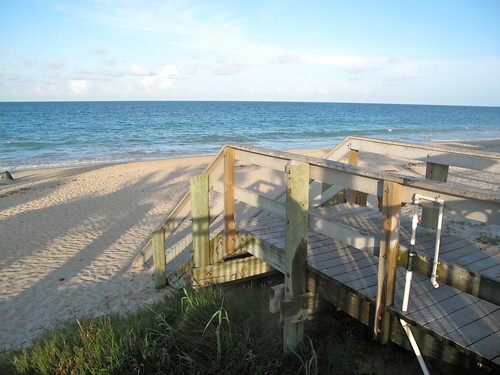 I just love the beach and beach related post! Great look, very lovely color…..